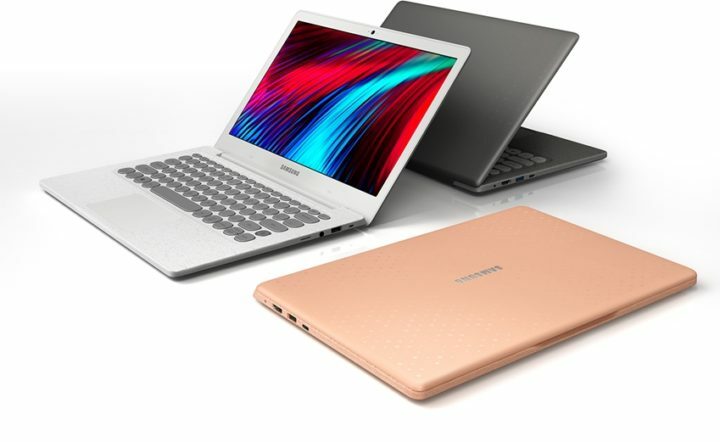 Samsung today unveiled a new laptop called the Samsung Notebook Flash. It merges retro design with the best wireless internet capability. The company has done a good job of differentiating this notebook’s design compared to existing products. It features a 13.3-inch Full HD resolution wide viewing angle display and is available in three color cover designs. Linen White, Twill Charcoal and Soft Coral to be precise. It touts Intel’s latest Gigabit wireless LAN card. The Gigabit wireless LAN card enables this machine to hit speeds of up to 1.7 gigabytes per second. This will enable the laptop to download large files in a short amount of time. It’s optimized for Korean carrier KT’s network services. Samsung has gone with a retro look for the keyboard. The keys are reminiscent of analog typewriter keys and offer a comfortable typing experience. Each keycap is curved to give the impression that they have been individually crafted. The palm rest has a fabric-like texture. Samsung says it provides a different feeling compared to the metallic ones in other notebooks. Samsung has worked with Microsoft to offer improved security features on this device. There’s a fingerprint sensor alongside the keyboard and the Notebook Flash supports the Windows Hello feature of Windows 10. Samsung’s secure folder will let users store content that can only be accessed by them on the device. Samsung has not yet detailed the technical specifications of this product. It is unclear what processor it has and how much memory and storage it comes with. What the company has said is that the Samsung Notebook Flash features a USB Type-C port. The company will be selling this product in South Korea for 820,000 or $715. No word as yet if it plans on launching the Notebook Flash elsewhere. Do check out the rather satisfying video from Samsung to find out more about the design of this new notebook. Does it have backlit keyboard? ?